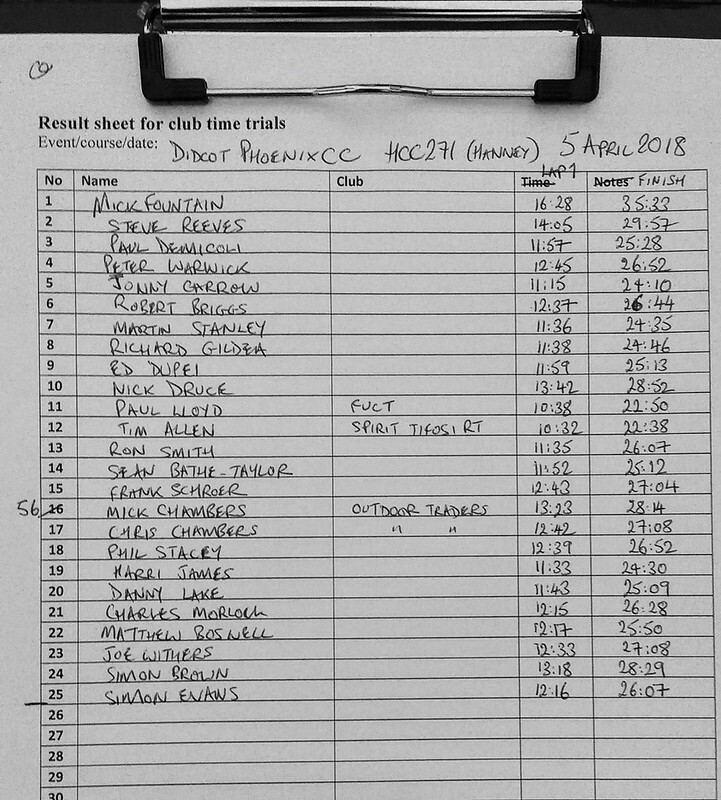 Tim Allen (Spirit Tifosi) took the win and set a new course record on the first DPCC club TT of 2018. Paul Lloyd (Fairly United CT) was 2nd, with John Garrow (Abingdon Freewheelers) 3rd. Thanks to the volunteers for giving up their time, and we still need a number of volunteers to assist with the next TT on the Brightwell course on the 12th of April. Can you help? You missed at least a few people (including me) in the results that rode on road bikes yesterday.